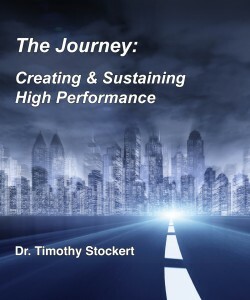 Business & Management Strategy Publications | INNOVA Group, Inc.Innova Group, Inc.
INNOVA’s first major publication, The Journey: Creating & Sustaining High Performance, will be available beginning April 18th. This book provides a conceptual framework for visualizing and institutionalizing the thinking, communications, and behaviors needed to maximize business enterprise and human potential. It explores a multi-phase strategy for enlisting and engaging organizational stakeholders in a learning journey to create a high performance organization. High performance organizations learn and adapt with customer demand, grow with marketplace competition, and retain marketplace relevancy over time. By utilizing a multi-phase strategy of Recognition, Reinvention, Reinforcement, Repetition, and Renewal, managers can transform base level or underperforming organizations into high performing organizations: organizations that create value and maximize business and human potential faster than their competition. Dr. Stockert provides overall leadership for INNOVA and is the firm’s leading technology designer. His client focus is organization development and leadership development. Deborah coordinates all business management activities for INNOVA. In addition, her focus for INNOVA and with clients is project management training, program development, and certification coaching. Ron supports all INNOVA learning technologies and interventions. His areas of focus are leadership development and project management training.